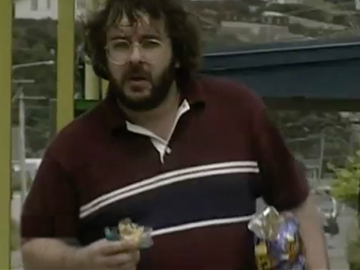 With a cast of stars from television, music (TrueBliss, Bunny Walters) and sports (Stu Wilson), this 2000 documentary offers a close-up on fame — Kiwi-style. 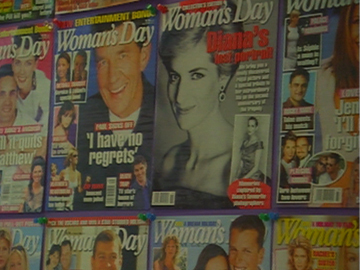 There are insights on local paparazzi from women's magazine editors, who have lost friends over what they have chosen to publish. Angela D'Audney reveals the 'intimate' relationship between TV personality and audience — looking animated is a job requirement, if she wants to walk in public unaccosted; and swimmer Danyon Loader describes the challenges of being forced into the media spotlight as a shy teen. 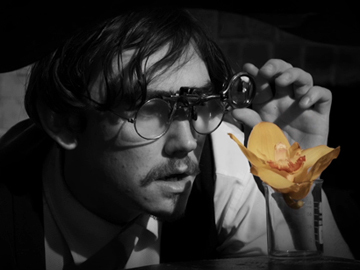 Set in the 1920s, this quirky short starts by taking the black and white cinema of the time literally. Then photographer Charlie Floyd (Adam Joseph Browne) stumbles across the technology to turn the drab grey world into full colour; a future of fame and fortune surely awaits. But when a potential romance with the florist across the road does not go as planned, Charlie learns that perhaps black and white isn't so dull after all. Directed by Southern Institute of Technology student Emma Schranz, the film was a finalist at short film festival Tropfest in 2015. When Love Comes features Rena Owen as a once were famous singing star who returns to NZ, in need of reinvention. Staying with a close gay friend (Simon Prast), she is reenergised after meeting a wastral songwriter (Dean O'Gorman) and two loved up young musos (Sophia Hawthorne and Nancy Brunning, the former in her big screen debut). Invited to a slew of North American festivals — including Sundance and Toronto — Garth Maxwell's sun and song-lashed tale won stateside praise for its "energetic direction" (The Hollywood Reporter) and impassioned performances. 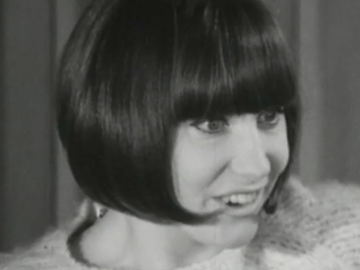 NZ's first major female pop star, "Queen of the Mods", Dinah Lee is profiled in this NZBC special (one of the earliest surviving interviews with a Kiwi rock'n'roller). Her trademark pageboy-with-kiss-curls hairstyle is almost a character in its own right as she talks about the pressures of celebrity — while footage of her recording 'He Can't do the Bluebeat' reveals a singing voice that is almost a shock after the softly spoken interview. The last word goes to Lee's manager who recounts the "nightmare" repercussions of her TV appearance in Bermuda shorts. John Kirk, son of the late prime minister Norman Kirk, is Brian Edwards’ interviewee in this episode from a series featuring the children of famous parents. While undeniably proud of his father, he pulls few punches in describing how his family suffered from the often negative attentions of others, and the demands placed on Big Norm which competed with his role as a husband and father — and may ultimately have contributed to his early death. Kirk was an MP representing his father’s seat of Sydenham, but his political career would not be as illustrious. In this May 2006 interview, Paul Holmes interviews actor Russell Crowe for Holmes' new Prime TV show. After 25 minutes Russell is joined by his cousin, cricket legend Martin Crowe. Free from PR pressures to promote a particular film, Russell is relaxed and reflective. He talks organic farming, Elvis Costello and fatherhood, the All Blacks and Richard Harris, and growing up as “Martin Crowe’s cousin”. Holmes brings up Martin’s famous innings of 299, and the trio discuss baseball, throwing phones, Romper Stomper, Russell's Rabbitohs league club and Martin’s Gladiator role. In 1976 three former Miss New Zealand winners fronted up for Max Cryer talk show Town Cryer — including a winner from the 1920s, who agreed to talk on condition her identity wasn’t revealed. The woman recalls her mother firmly turning down offers of travel to Hollywood. 1949 winner Mary ‘Bobbie’ Woodward agrees stamina was as important to the role as beauty. 1954 winner Moana Whaanga (nee Manley) was also a national swimming rep. After the show aired, Cryer heard from an earlier Māori winner, who in 1923 took away possibly the first Miss NZ title of all. 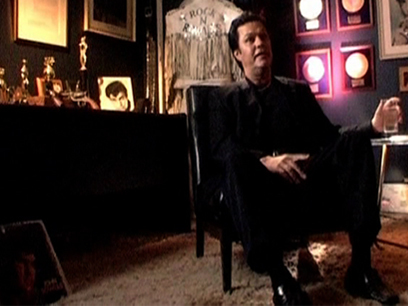 The meteoric career of one of NZ’s greatest entertainers is examined in this documentary. John Rowles went from a Kawerau childhood to stardom in London at 21; but, after headlining in Hawaii and Las Vegas, he saw it all slip away. Those roofing ads and near bankruptcy followed, but Rowles has retained his self belief and that voice. 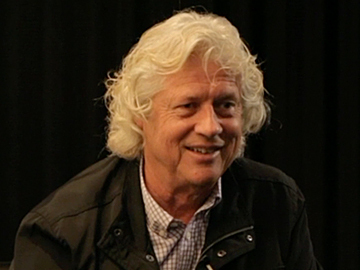 A stellar cast of interviewees analyse his strengths and weaknesses, including Sir Cliff Richard, Tom Jones, Neil Finn and late promoter Phil Warren. Amongst the star cameos, John’s sister Cheryl Moana explains the downside of his best-known local hit.